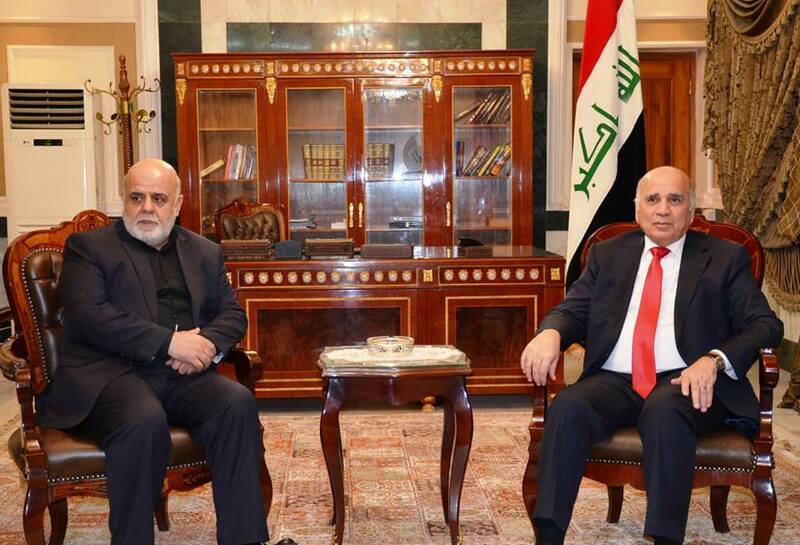 Deputy Prime Minister for Economic Affairs and Minister of Finance Dr. Fuad Hussein receives HE the Ambassador of the Islamic Republic of Iran in Baghdad and his accompanying delegation. 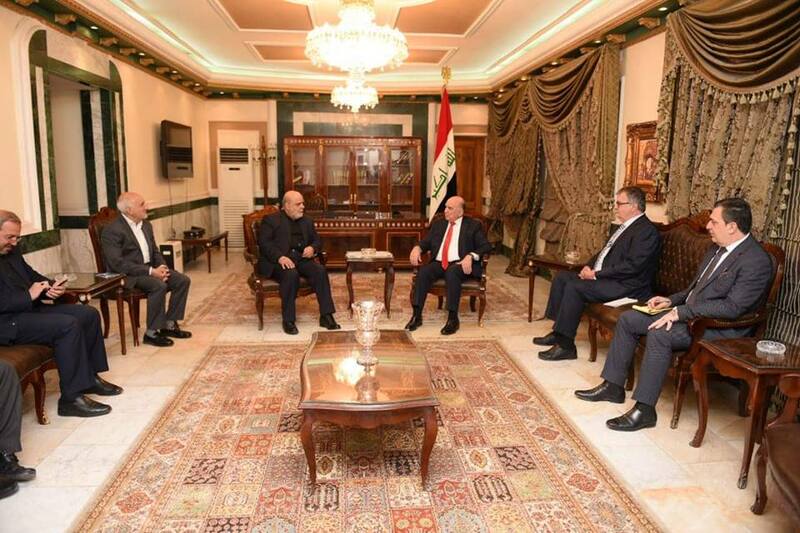 Deputy Prime Minister for Economic Affairs and Finance Minister Dr. Fuad Hussein , received at his office in Baghdad , Mr. Iraj Masjedi Ambassador of Islamic Republic of Iran in Baghdad and his accompanying delegation. At the beginning of the meeting, Mr. Masjdi congratulated Dr. Fuad Hussein on his new duties and wished him success and success. During the meeting, they reviewed the historical relations between the two countries and ways of strengthening them and developing them for the good and interest of the two friendly peoples. For his part, Dr. Fuad Hussein Said thanked the ambassador for his congratulations and pointed out that Iraq looks forward to building strong and strong relations with its neighbors based on common interests, stressing the need to protect those relations in order to create a stable environment in the region. He added that the challenge facing the new federal government in the economic aspect lies in building a strong and fruitful economic vision and philosophy that will be driven in the light of developments and reality, pointing to the need to diversify sources of income and not rely entirely on oil, eliminate unemployment and rebuild the dark matter of thought. On the need to pay attention to the sectors of industry, agriculture, tourism and investment. The volume of trade exchange between Iraq and Iran reached eight and a half billion dollars annually, Masjedi said. And that there are 79 different Iranian companies operating in Iraq in the areas of energy, construction, tourism and infrastructure and the size of projects of these companies amounted to ten billion dollars. Pointing to the increase in the number of tourists between the two countries significantly from previous years.